Tim and the entire Nomad crew, along with their wide variety of knowledgeable guests have done an excellent job at building a platform on which everyone is equally entitled to their own take on spirituality and religious culture. If youâre looking for a place to learn and grow intellectually without judgement then youâve come to the right place. Thanks for putting out such a superb show guys - keep up the great work! Update:11/6/18 Still loving the Podcast, thank you for the fresh nuisance of perspectives, and keep the dopamine hits coming! *************************************Thanks to Tim Nash, Dave Ward (Wardo), and David Benjamin Blower and all of their amazing guests and the beloved listeners. This has been an amazing journey of exploring the foundations of faith, and getting to the roots of how the Creator is communicating love to the world. Iâve had so many amazing moments of renewal and life changing experiences when listening and contemplating along with the podcast. Thanks for helping me in my search for community, hope and what the future could look like if we dream big enough and trust in the love that transcends our understanding. What an inspiring resource, I canât help but share this with friends! Some of my favorites so far are Pete Rollins, Malcolm Guite, Tom Wright, Rob Bell, Richard Beck, Phyllis Tickle, and Sharon Baker....and all the rest! This podcast is evidence that Jesus is not failing to build his church. So grateful for these honest, humorous and humble conversations laced with the grace only available through the Spirit. Keep up the good work! Love what these guys do and how thought through their interviews are. One always gets to the end of the episodes with valuable insights and new perspectives to think about. Also love the community that is being built around these conversations. These guys are great- in the same genre as The Bible for Normal People, The Liturgists, The Deconstructionists, etc. I'm American, so while I love their dry senses of humor, the interviews themselves can sometimes seem very low energy. The content and fantastic guests make it totally worthwhile! I enjoy listening- thank you both! Iâve been listening for the last couple of years and I love being challenged and inspired! This podcast has been an important part of my spiritual journey...keep up the great work! Iâve been listening for over a year...great interviews (loved that Walter Brugeden was interviewed twice, but didnât realize) very topical and because the guys are English there is almost none of the strident whinging of religion in the US. I love you these guys! They are so funny and I so enjoy the great people that they have on their show. They give me a lot of hope for the church as it rebuilt itself and helps me be reminded that Jesus is the center of everything. Thank you, God, for Nomad that we may know there are others like us. We get where we're going by asking where we're at ... or something like that. This is a thoroughly enjoyable and often eye opening podcast. I have not listened to one that disappointed. Thanks guys for your hard work!! Unlike the 2 star review, I actually agree with almost everything Greg Boyd says. Also, you guys do a fantastic job integrating different perspectives. Keep up the great work! I like thinkers! I like people who believe this faith journey should be taken not only in the heart but also in the head, reasoning out this faith-life. That's what these guys do and that's what they help me do. They help me process my thoughts on difficult topics through the lens of belief and reason. Doubt shouldn't be a bad word in church. These guys helped me not be ashamed of my doubt, but rather see that doubt as a road-way to reasoned-faith. The guests are top notch and the hosts are a pleasure to listen to. Even though the episodes are long, the conversations are rich and it is time well spent. This is one of my top five (possibly top three) favorite podcasts. I really enjoy this podcast. They interview many interesting guests and always seems so genuine in their reflections of the discussion. Listening to them feels like sitting on the porch talking to close friends about God and stuff over a cold beer as the sun sets, wearing a RompHim. I really appreciate their charitable tone and their desire to help their listeners learn from each of their guests. There are times when I wish the more critical questions they ask each other in the post-interview would have been asked of the guest directly. I respect Greg Boyd. I respect his 10 years of research on this topic and the view that he came away with from that experience. However, from my perspective, the gymnastics that were happening in this podcast to make the theology & doctrine work wer at an Olympic level. I spend a lot of time helping my wife with her cleaning business and literally listen to podcasts everyday. After three years Nomad is in my top three of all time favorites. You get well thought out reflection and a little bit of humor.....I catch myself literally laughing while I'm cleaning. Love these guys! Thank you for making my time cleaning more enjoyable! Love listening to these guys. They're humorous, thoughtful, and intriguing. Great guests. Love this podcast. Very interesting guests and compelling conversation. Always enjoy every new episode. Well done to the hosts, and keep up the good work! I have to say that I eagerly await the release of each new Nomad episode. Since discovering them last year, I've plowed like a millennial Elisha through their archive. Absolutely engaging, thoughtful, insightful and authentic content. No needless theologizing, no frilly philosophical diatribes, but plenty of well-asked questions directed at some of the most engaging guests in progressive Christianity. And along the way, you'll get a dash of British humor, some equine knowledge and a new appreciation for the podcast genre. Thanks guys! Great, in depth interviews. Very thought provoking. A must listen-to weekly. THANK YOU! 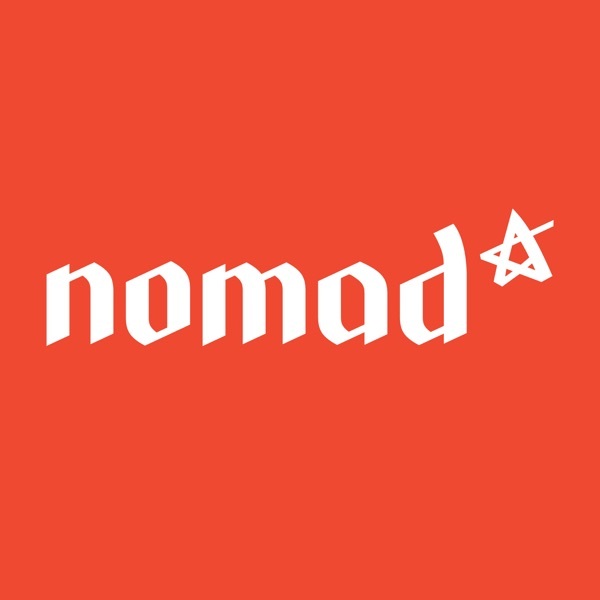 Started listening to Nomad about 6 months ago and I canât get enough - I look forward to every episode as the guys search, enquire and re-evaluate their long-held, ânormativeâ Christian views and values, looking for glimmers of hope within culture and spirituality. Itâs also really, really funny. Great job guys! This has quickly become one of my favorite podcasts, if not my favorite. I tend to have an affinity with "seekers" and it is a pleasure to listen to these guys walk along their journey of faith and life, exploring new ideas and thoughts and growing deeper in their own. I am indeed a beneficiary of their travels. This is the best podcast series I am aware of for those who want to be challenged to think in new directions about theology, the church, mission, and the future of Christianity. I love the diversity of reflections, brought by academics and âfeet-on-the-groundâ pioneers and even dreamers. And every bit as important are the reflections Dave and Tim offer in the âdebriefingâ section at the end of each interview. And yes, they have a terrific, dry sense of humor that makes me smile or laugh out loud. Most of all, though, I come away with something to wrestle with that keeps me on my toes in Christian ministry and day to day living. As a Brit now living in the states its great to hear Tim and Daves British banter and dry humour while they reflect on their interviews with a broad selection of spiritually progressive folk. Their questions are always really thoughtful and get the best insights from their guests. It's a real privilege to be able to share their spiritual journey as they talk through what they've heard. Thanks Tim and Dave!! I recommend this to friends all the time! I listen to a lot of podcasts; most of my time is spent in solitary pursuits like gardening and quilting, so being able to learn something while I do my thing is wonderful. But this podcast has become my most recommended - a lot of my friends and acquaintances are struggling with what the church means in the modern world, and Nomad's interviews help me refine my thoughts on Christianity, spirituality, mission, and community. I love everything about this podcast, even when they talk about horses! The guests are all brilliant. The hosts are clearly deeply committed to Christianity, but they are also critical of it. I appreciate that they do not accept easy answers. Yesterday, I got a papercut. It may be coincidence, but the moment I clicked to rate this podcast with 5 stars, the papercut stopped hurting. It's a Nomad miracle! Iâve been listening for several months now and this podcast has quickly become on of my favorite to listen to. These guys have an incredibly selection of guests with fresh and new perspectives. Tim and Dave are great at asking questions to their guests, usually the same questions Iâm thinking of. When I finish listening to an episode, I rarely have any questions left to ask of the guest, but only questions to ask myself about how to respond to what Iâve just heard. Love the interview and the humor. I cannot wait for Nottingham to be known for the Nomad podcast instead of for Robin Hood! i enjoy this podcast very much. God has opened my heart to ask questions I never thought about before. I have listened to some of them multiple times and always catch another nugget causing me to think. The interview with Brad Jersak was the most recent one, I had to dig into again. Thank you Dave and Tim, I highly recommend The Nomad. I really enjoy this podcast. Tim and Dave have interesting guests and ask them very deep and insightful questions. Highly recommended. As a product of the Right-wing Conservative Christian homeschool movement in America, this podcast has supported me through a reawakening and spiritual quest of my own to find my true self and to live an authentic life with Jesus. Thank you gentlemen for the podcast! I recently started listening to Nomad and it has quickly become one of my favorite podcasts. The guests are varied and always interesting. The hosts ask great questions and I enjoy the reflections after each interview. I am so glad I started listening! I love podcasts on religion and faith. I am also a huge Anglophile. So, it should make complete sense that I adore Tim and Dave. They are so real, so funny and really do great interviews. I'm currently binge listening to all their shows. My favorite podcast!! These guys are great hosts and give a refreshing view of kingdom of Christ life. I really like they're banter as well before and after each interview. But don't be fooled they ask great intelligent questions of a multi colored spectrum of Christian movers . They are an essential part of anyone's spiritual journey. This podcast is no frills, direct and concise. They have a wide variety of guests who simply relate their experiences engaging with Christianity in todayâs world. This kind of conversation is essential to faith being a powerful part of humanity as our knowledge grows and advances through this century. I found this podcast through the NT Wright podcast and have been really impressed. It's great to hear all that these folks are doing to live in community together and then sharing that with those of us who also want to follow Jesus and live in community. It's authentic, gritty and real. I appreciate that they seek out the foremost thought leaders of a lot of the topics they delve into. I would highly recommend giving this a listen. I have listed to every interview they've posted. As an America who is frequently qusetioning the current Christian climate in America, it's refreshing to hear that there are folks out there willing to ask the difficult questions and think outside the box.Give it a try - you won't be disappointed! As an American living in Asia, Iâm always trying to keep my finger on the pulse of Christianity in the West. Thank you, Tim and Dave! What a rich collection of interviews. The friendly banter and anecdotes provide a refreshing balance to the thought-provoking conversations. What a great podcast. Love the diverse voices and great discussion. Thank you so much. Here in rural South Dakota, it's the discussion I long for. Thanks so much. I have been listening for over a year and love it! The Brits really do it right. The guys ask great questions and allow a good amount of space for the guests to answer. I really appreciate that they ask, listen and think, and allow the listener space to form opinions. Thanks guys! The guests are varied, and the questions asked, along with the responses, are relevant and engaging. You really feel as if you're on a journey of discovery with the hosts. This is one of my favorited podcasts. Not only do Tim and Dave interview pertinent players in the current religious and cultural spheres, but also their banter between each other is constant entertainment. Enjoy! GREAT resource for those interested in following Jesus and or mission and the future of the church! From N.T. Wright to Michael Frost this podcast interviews some of the best speakers, writers, pastors, church planters and theologians from around the world who have something to say about following Jesus, mission and the future of the church. This podcast has really blessed me since I am a young 24 year old church planter who wants to learn about what other churches our doing to love their neighbors and to faithfully follow their Lord Jesus. I want to thank these British brothers and sisters in Christ of mine for starting this. It's a real encouragement to me and others in my church! You guys are Awesome! Also here's some people I thought y'all should have on your show, James D. G. Dunn, Robert banks and Stanley Hauerwas. Please Keep up the good work!